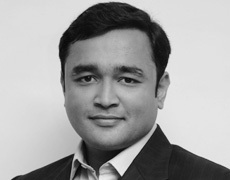 Mahendra Yadav is the Chief Executive Officer and Co-founder at Tavisca Solutions. He drives the inspiration and vision of the organization, with 12 years of experience working in the Travel and Travel Technology domain. His experience spans from developing technology that integrated with Kayak, Priceline, SideStep in the initial days of his career to empowering travel businesses generate over 1 billion dollars in annual sales. He has extensible credentials in the industry. An avid educationist and speaker, Mahendra has taken every opportunity to generate passion for Travel and Travel Technology Domain, both inside and outside ‘tavisca’. Mahendra believes that Travel Technology requires constant innovation as well as streamlined effort to deliver greater value to customers and the travel ecosystem. 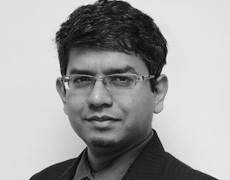 Bharat Garg serves as a Chief Operating Officer and is one of the Co-founders of Tavisca Solutions. Bharat manages people strategy, human resources, alignment of resources, performance management and accountability across the board. He was also responsible for overseeing Tavisca Solution’s SaaS based product suites. Since the beginning of his tenure at ‘tavisca’ in September 2008, Bharat has handled various customer engagements across the company. Additionally, he has also been an integral part of the teams responsible for the success of several customers on the travelnxt platform. Bharat believes that teamwork induced productivity has always proved to be the beanstalk of any trade. Leading by example is one of his core qualities. Inspired by his drive towards achieving the best, ensures team tavisca is always motivated. Achieving mammoth size tasks and delivering impeccable quality is Bharat’s contribution towards the success of tavisca. 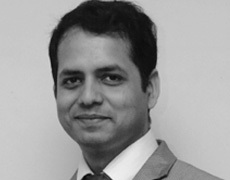 Hemant Bhatt is a Director and Co-founder at Tavisca Solutions. He manages tavisca’s core travel product line and also leads the supplier integration team which continues to enhance the company’s content offerings and market reach. He has played a key role in building tavisca’s unique offering of virtual cash management built for the B2B market. He is inclined towards tavisca’s latest hosted offerings and works closely with other colleagues to ensure they are ably supported. He can be often found discussing new product features and encouraging people to trying out new releases from his table. His core leadership values blended with clarity in perspective is the driving force behind tavisca’s evolving products. Transparency in the pipeline of delivery is an essential asset that Hemant contributes to tavisca. He is witty and friendly by nature, and everyone thoroughly enjoys working with him. Rahul Pilkhwal is one of the Co-founders at Tavisca Solutions and is in charge of driving tavisca’s product development and technology strategy. He has been closely involved in building and launching many travel products, with over a decade’s experience in travel technology domain. As per him tavisca’s vision is to build the next generation of travel commerce platform for simplifying travel. He believes that tavisca’s platform will enable easy accessibility to travel content and other essential commerce services to help foster innovation in this space. He concludes that smart apps are the future and have a huge potential to disrupt all industries. 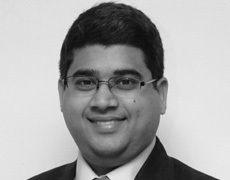 Varun Jain is President Engineering and Co-founder of Tavisca Solutions. He has been closely involved in the conceptualization and development of quite a few travel technology products. His responsibilities at tavisca have spanned from paving out the roadmap and product strategy, to team management, project execution and release management in addition to taking the lead for client management and development for enterprise clients. Varun believes that ‘tavisca’ will evolve into a market leader in innovative travel business products and among travel technology solution providers. As per Varun, tavisca’s in-depth and excellence oriented approach towards business problems, is responsible for driving the most innovative solutions for the market. He believes that ‘tavisca’ will continue to hold this approach towards newer challenges and create products that have long-lasting values. 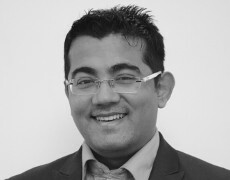 Nikhil Prasad is one of the Co-founders of Tavisca Solutions. He drives the technology center of excellence inside tavisca. His key responsibilities range from developing technology best practices to research and framework development inside the company. Nikhil is also the Founder and Managing Director for Appacitive, which is a cloud-based software as a service, startup in the mobility space. Outside of work, Nikhil’s interests include teaching, evangelism and product design. As per him, ‘tavisca’ is an embodiment of what he considers as his life’s work and reflects his personal desire to create products that leave a significant positive impact on people. What he loves at ‘tavisca’ is the constant ability to balance ambition with tavisca’s core philosophy of excellence and doing the right thing in the best interest of tavisca’s people and its customers.